St Mary’s holidays offer you a pristine white sandy beach and some of Antigua’s most upmarket hotels. The town is nestled on the south west coast of the island, where you’ll find some of the best beaches, including the famous Turners Beach, and a chance to enjoy the best facilities and amenities. The beach is a main draw for holidaymakers, with its clear and shallow waters making it perfect for families travelling with little ones who just want to paddle. The crystal clear sea is teeming with life, with opportunities for you to explore the colourful coral, and many varieties of fish with snorkelling, or scuba-diving trips. Alternatively, simply sunbathe beneath the palm trees as you listen to the surf gently lapping the soft white sands. When it comes to refreshments there is a little beach bar where you can enjoy a relaxed lunch of cool beers, exotic cocktails and fresh seafood. Holidays in St Mary’s centre around the many upmarket hotels you can find throughout the town. Try a different cuisine every night, or immerse yourself in the local culture as you enjoy freshly caught seafood and locally spiced dishes. Spend the evening in one of the bars and listen to live music or chilled beats as you choose from crisp wines, exotic cocktails and bubbly champagne. Alternatively, explore the island with boat trips which will take you to its many secluded spots. Book your luxury holiday in St Mary’s Antigua with Sovereign and we’ll ensure everything is taken care of so you can spend long lazy days soaking up the sun. Our Trusted Advisers will help you find your ideal hotel, as well as offering airport lounges and private transfers as standard. 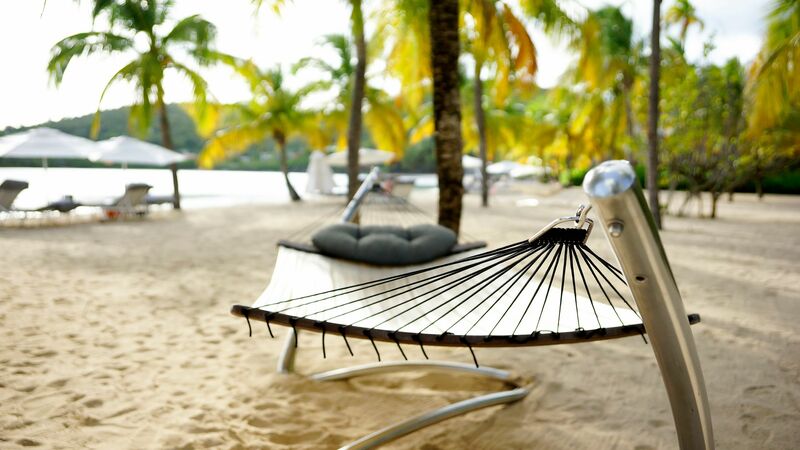 Book with us and stay at the Carlisle Bay Antigua where you’ll be right on the beach and surrounded by palm trees. Fully immerse yourself in the tranquillity of the spa or try scuba diving, sailing and more as your little ones have a day of fun in the Kids’ Clubs. A great place to watch the sunset from is Shirley Heights National Park - it's up on a clifftop with fantastic west-facing views over to English Harbour. On Sundays, sunset barbecue parties are held here, with live music, jerk chicken and plenty of rum punch. It's around half an hour's drive from St. Mary's. Flights from the UK to Antigua take approximately 8 hours 30 minutes. Transfer time from Antigua airport to St. Mary's is approximately 30 minutes. Antigua’s Caribbean climate means year-round good weather. Average highs hover around 28°C in June, while the coldest month is January at a toasty 25°C. The rainy season takes place from June to November, with October racking up the most rainfall – unlike the constant drizzle we often get at home, Caribbean rain tends to fall in short, sharp bursts, usually followed by sunshine and blue skies. Currently visas are not required for UK citizens travelling to Antigua. A 10% service charge will often be added to restaurant bills, however, for good service, it’s common to leave a 5% cash tip as well. Aim for a 10% tip on fixed taxi fares and a couple of dollars for porters and maids. The official language of Antigua is English.